When we run automation workshops, one of the first questions we ask is “Why do you want to automate?”, the answers usually are variations of the theme: predictability, cost, efficiency, scale and self-service. The stand-out response that continues to resonate with me from one participant was “that it frees time”. I like this answer as it brings people back into the focus as to the why we automate. This brings me to the central theme of this blog, At Informed we believe that <b>Automation is about your people not something that is done to them. The media operates on our base emotions, fear, greed, hope etc. so it’s perfectly understandable that it sells more newspapers when automation is linked to taking your job (that would be the fear bit). To be honest it’s not entirely without merit, as jobs are disappearing, however I believe the argument is a little more nuanced. In IT when we automate a provisioning process, the outcome generally is that the person who was previously pressing buttons, running scripts, installing software is instead doing something significantly more beneficial for the organisation. Activities like continuous improvement, creating new IT capability, innovation, building customer centricity are instead the focus. 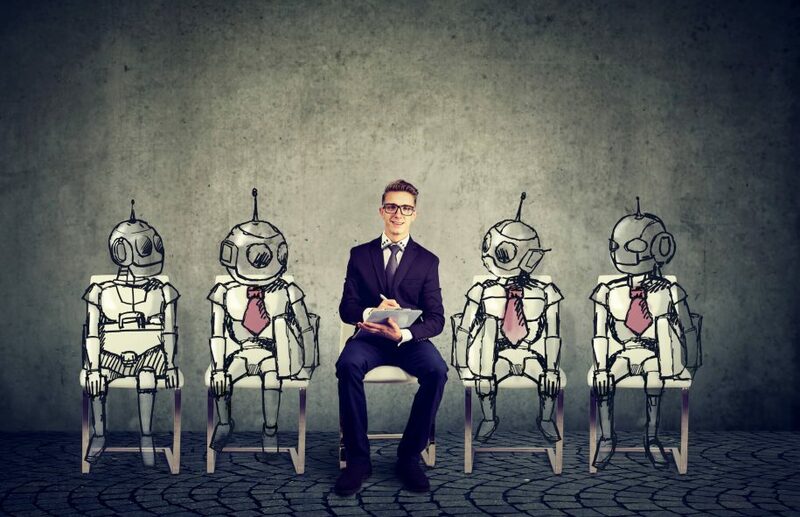 It’s this freeing of time that is the critical outcome of automation, if you’re automating to simply reduce headcount then you’re missing one of the biggest benefits of automation. Automation should be thought of as a catalyst to transition IT from being ‘those guys in the corner who manage our computers’ to being business partners who actively drive business change. So, will automation take my job?”, the answer depends on a couple of factors. Firstly, it depends on whether you’re actively re-skilling as the industry evolves and secondly it depends on the position your job in the upwards movement of commoditisation. I’ll talk about the upwards movement of commoditisation in a future blog, suffice to say that if your job is manually building Servers or managing IP addresses and you’re not interested in doing anything else then your job will absolutely be replaced by automation. As a contrast, the automobile manufacturing industry is highly automated. Nevertheless, in Europe it still employs 5.6% of the EU workforce. While I haven’t done the in-depth analysis, I suspect the jobs are a combination of highly skilled operators of automation machinery, designers and associated supporting functions. As IT adopts widespread automation in some ways it will parallel the automation industry. IT engineers will operate and improve automation software while other IT personal move into business / IT integration roles. Bring it on I say! When we were designing the Informed automation strategy software, we agreed that capturing the benefits of ‘freeing time’ needed to be included. We have developed an optional input field feature named ‘Opportunity Dividend’. This is so organisations can capture the productivity benefit by freeing your staffs time to work on far more productive tasks. While it is optional we would definitely encourage you to at least discuss the benefits as they are real and should be one of the primary drivers for automation.